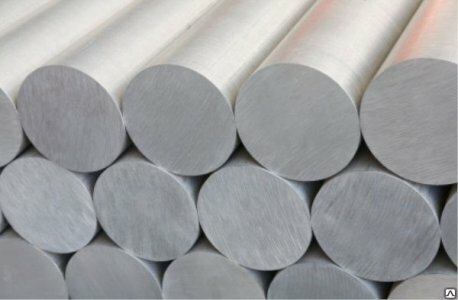 The strength properties of titanium depends on the presence in its composition of impurities, which are divided into two groups: 1) impurities of implementation: nitrogen, oxygen, hydrogen, carbon, and 2) impurity substitution: silicon and iron. Impurity introduction: have a stronger impact on the quality of titanium — reduce the ductility and increase the strength. The strength of pure titanium 57 HB may increase more than two times. The presence of oxygen at a concentration of 0.1−0.5% has little effect on plasticity, but with the content of 0.7% oxygen Titan completely loses the ability for plastic deformation. Nitrogen increases the ultimate strength while reducing ductility. Chemical processing industry, power generation, drilling equipment, shipbuilding, aerospace engineering. Manufacture of surgical instruments, braces, orthopedic pins and screws. All offered products are certified. In the technical documentation included data on chemical composition and set the percentage limits of the additives. Supplier «Electrocentury-steel» supplies titanium Grade 29 Ti-6Al-4V-0.1 Ru plate, sheet, rod, round standard and custom sizes at an affordable price in a optimally short period of time from warehouses in Russia and Ukraine. The price of sheet, rod, circle stamps Ti-6Al-4V-0.1 Ru corresponds to the high quality products. Buy Grade 29 titanium — Ti-6Al-4V-0.1 Ru plate, sheet, rod, circle from the vendor Electrocentury-steel possible at an affordable price. The price of titanium is formed on the basis of European standards of production. Buy titanium products at an affordable price, you can wholesale or retail. Regular customers can take advantage of the discount system of discounts from the company Electrocentury-steel.